The perfect gift! 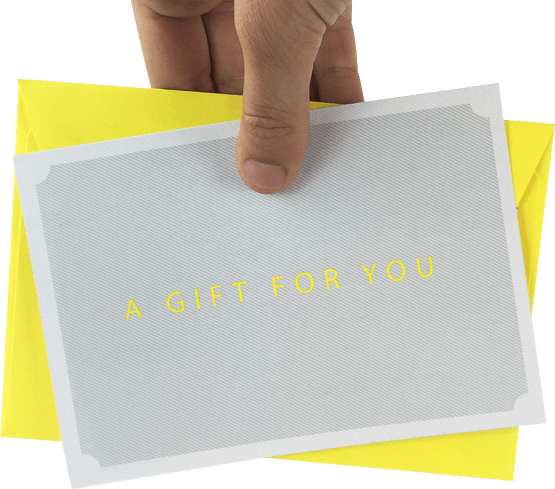 Our amazing gift cards are printed on a high quality satine matte card packaged in a fabulous bright yellow envelope and will be sent across the world if that is what you want! They are also available digitally, contact us for more info.